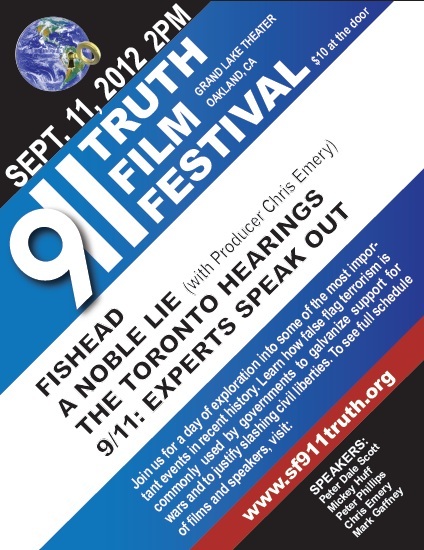 The eighth annual 9/11 Truth Film Festival will explore what featured speaker, professor, author, former diplomat, Peter Dale Scott has termed “deep events.” Scott defines "deep events" as those that are systematically ignored or falsified in the mainstream media and public consciousness. 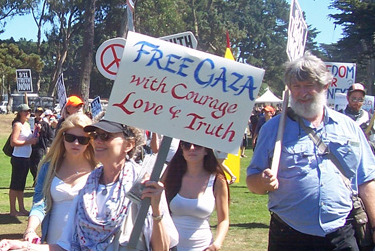 The Film Festival, will be held again at the historic Grand Lake Theater, 3200 Grand Ave, Oakland, on Tuesday, September 11, 2012 from 2 pm to 11 pm, and is a benefit for the Northern California 9/11 Truth Alliance. Just a reminder that this Friday, July 4th, if you're at a New Jersey beach, bring a video recorder if you can, and look for a Plane Truth Project aerial banner that will be flying from Cape May up to Sandy Hook with a 9/11 Truth message targeted specifically towards military members, but, I think, good for all. I'll be on a beach with my family (it's my mother's birthday), getting amateur footage, so I hope others out there who are experts at this will be able to get this on tape. I also hope it's a beautifully clear day . . . If it's cloudy or rainy, the flight will be rescheduled for the first Saturday or Sunday that has nice weather (nice enough to bring people to the beach). I'm very fortunate to be working with an ethical company! 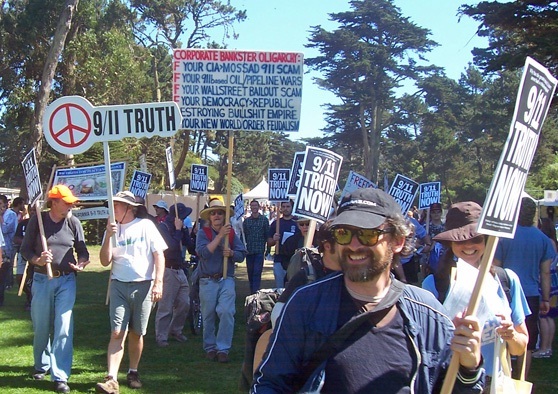 Truth activists will be gathering at Boston’s 4th of July Celebration on the Esplanade this year to distribute new Patriots Question 9/11 postcards along with We Are Change info handouts and maybe some DVDs. A core group of organizers will be setting up Camp on the lawn adjacent to the Stone Man Playground near the Harvard (Mass Ave) Bridge. (see map link below). From there, we’ll break off into groups and canvas the entire area, from and including the Longfellow Bridge to the Harvard Bridge. Even if you can come only for a couple of hours, there will be someone at the Camp at all times beginning at 9 am, who will be able to connect you with groups already out working the crowd. The best access to the home Camp is via the pedestrian entrance to the esplanade at the Mass. Ave Bridge. From there it’s just a short 100 ft. walk to a fork in the sidewalk that surrounds a strip of lawn where we’re setting up camp. Look for the flag of New England we’ll be flying – a red flag with a green Pine tree.